The Web was social before it had social networking software. It just hadn’t yet evolved a pervasive layer of software specifically designed to help us be social. In 2003 it was becoming clear that we needed — and were getting — a new class of application, unsurprisingly called “social software.” But what sort of sociality were we looking for? What sort could such software bestow? That was the theme of Clay Shirky’s 2003 keynote at the ETech conference, the most important gathering of Web developers of its time. Clay gave a brilliant talk,“A Group Is Its Own Worst Enemy,” in which he pointed to an important dynamic of online groups. I replied to him at the same conference (“The Unspoken of Groups”). This was a year before Facebook launched. The two talks, especially Clay’s, serve as reminders of what the Internet looked like before social networks. The Web was designed to connect pages. People, being people, quickly created ways for groups to form. But there was no infrastructure for connecting those groups, and your participation in one group did nothing to connect you to your participation in another group. 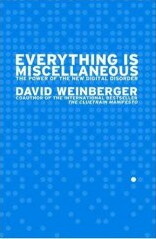 By 2003 it was becoming obvious (well, to people like Clay) that while the Internet made it insanely easy to form a group, we needed help — built into the software, but based on non-technological understanding of human sociality — sustaining groups, especially now that everything was scaling beyond imagination. 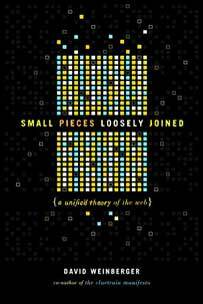 So this was a moment when groups were increasingly important to the Web, but they were failing to scale in two directions: (1) a social group that gets too big loses the intimacy that gives it its value; and (2) there was a proliferation of groups but they were essential disconnected from every other group. Social software was the topic of the day because it tried to address the first problem by providing better tools. But not much was addressing the second problem, for that is truly an infrastructural issue. Tim Berners-Lee’s invention of the Web let the global aggregation of online documents scale by creating an open protocol for linking them. Mark Zuckerberg addressed the issue of groups scaling by creating a private company, with deep consequences for how we are together online. Clay’s 2003 analysis of the situation is awesome. What he (and I, of course) did not predict was that a single company would achieve the position of de facto social infrastructure. When Clay gave his talk, “social software” was all the rage, as he acknowledges in his very first line. He defines it uncontroversially as “software that supports group interaction.” The fact that social software needed a definition already tells you something about the state of the Net back then. As Clay said, the idea of social software was “rather radical” because “Prior to the Internet, the last technology that had any real effect on the way people sat down and talked together was the table,” and even the Internet so far was not doing a great job supporting sociality at the group level. The Web was getting very very big by 2003 and Clay points says that “we blew past” the “interesting scale of small groups.” Conversation doesn’t scale. This is a broadband conference call, but it isn’t a giant thing. It’s just three little pieces of software laid next to each other and held together with a little bit of social glue. This is an incredibly powerful pattern. It’s different from: Let’s take the Lotus juggernaut and add a web front-end. You can’t separate the social from the technical. Groups need a core that watches out for the well-being of the group itself. Provide for persistent identities so that reputations can accrue. These identities can of course be pseudonyms. Provide a way for members’ good work to be recognized. Put in some barriers to participation so that the interactions become high-value. As the site’s scale increases, enable forking, clustering, useful fragmentation. This is what “social software” looked like in 2003 before online sociality was largely captured by a single entity. It is also what brilliance sounds like. I gave an informal talk later at that same conference. I spoke extemporaneously and then wrote up what I should have said. My overall point was that one reason we keep making the mistake that Clay points to is that groups rely so heavily on unspoken norms. Making those norms explicit, as in a group constitution, can actually do violence to the group — not knife fights among the members, but damage to the groupiness of the group. It’s great for letting groups form, but there are no services built in for helping groups succeed. There’s no agreed-upon structure for representing groups. And if groups are so important, why can’t I even see what groups I’m in? I have no idea what they all are, much less can I manage my participation in them. Each of the groups I’m in is treated as separate from every other. I used Friendster as my example “because it’s new and appealing.” (Friendster was an early social networking site, kids. It’s now a gaming site.) Friendster suffers from having to ask us to make explicit the implicit stuff that actually matters to friendships, including writing a profile describing yourself and having to accept or reject a “friend me” request. “I’m not suggesting that Friendster made a poor design decision. I’m suggesting that there is no good design decision to be made here.” Making things explicit often does violence to them. I suggest that there’s hope in social software if it is considered to be emergent, rather than relying on users making explicit decisions about their sociality. I suggested two ways it can be considered emergent: “First, it enables social groups to emerge. It goes not from implicit to explicit, but from potential to actual.” Second, social software should enable “the social network’s shape to emerge,” rather than requiring upfront (or, worse, topdown) provisioning of groups. I suggest a platform view, much like Clay’s. Five years ago, it was obvious beyond question that groups need to be pre-structured if the team is to “hit the ground running.” Now, we have learned — perhaps — that many groups organize themselves best by letting the right structure emerge over time. Historical aside, before social software, there was social protocol. And this is one of the things swirling inside the competing counternarratives struggling to define Mike Brown, right? We have this social-default, sometimes-unspoken, terrible narrative about young black men: a narrative of thuggery and threat, with death as an unmarked outcome. And then we have people making all these facts explicit about Mike Brown. Gentle. College-bound. Nice to kids. And that thing you said is part of the undercurrent, isn’t it? People make certain facts about Mike Brown explicit because it’s a way of remembering him, and because it’s a way of challenging implicit, awful defaults. But it also provokes a counterreaction, and your words crystallized that part of the reason for that is that explicitness does violence, does damage to the truth. Wow, Joseph! Ahead of your time, as usual! Andromeda, thank you for this fascinating application of the question of explicitness. All that I’d add is that it’s not like we can avoid explicitness. All we can do is try to mitigate the harm it inevitably causes. The harm is inevitable because every discovery is also a covering up, every revelation casts shade on what is not revealed. What shows itself does so on the ground of what is hidden.